The Baby Boomers have always been an independently minded generation. Even as they become senior citizens—at the rate of 10,000 a day—that’s not changing. Committed to their families and communities, the vast majority of aging adults—87 percent — want to remain living at home, for as long as possible. So how does smart home technology effect their lives? Maintaining this independence will require care and support, particular for older adults aged 75-plus. Traditionally, that’s where families step in. Nearly 35 million Americans currently provide unpaid care for a family member aged over 50. However, this approach is running into modern challenges. Adult children often live hours or even days away. Those nearby are supporting their own families and working demanding hours, making regular visits and check-ins difficult. America’s modern caregivers need help. Now, smart home technology is stepping into the gap with connected living solutions designed for caregivers. 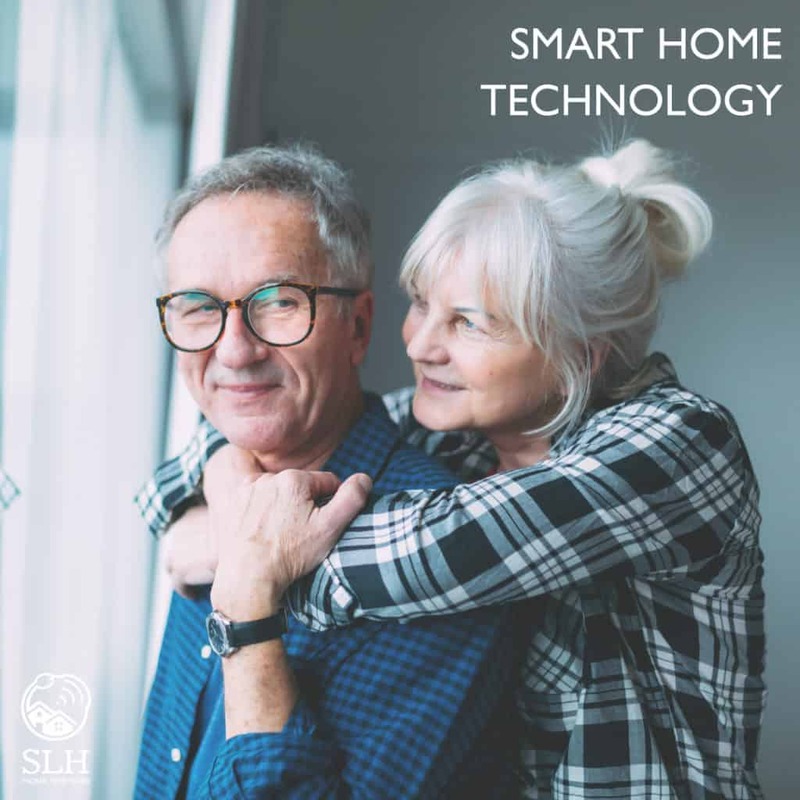 Originally developed to alert homeowners to unwelcome activity, connected home security technology can keep both family and professional caregivers connected to aging adults and one step ahead of emerging health issues. 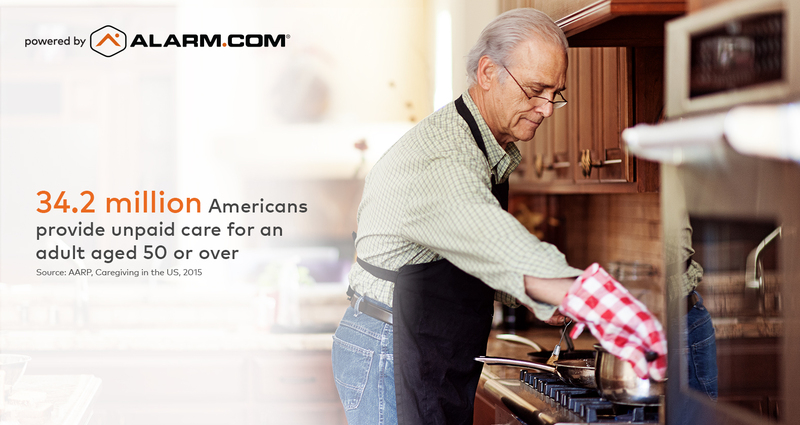 Alarm.com’s Wellness solution, powered by a smart home security platform trusted by millions, is an intelligent solution that combines hardware and software to benefit caregivers and aging adults alike. Unlike older technology which alerts carers only after something bad happens, Wellness intelligently monitors quality of life through a suite of discreet activity sensors and smart devices installed around the home, using machine learning and predictive analytics to proactively alert caregivers to potential health issues detected in real-time activity data. For older adults, meanwhile, Wellness offers a full suite of smart home technology to make life safer and easier. Devices like smart thermostats and smart lighting can be automated and even voice-controlled, providing comfort and security without complexity. Doorbell cameras and smart locks enhance daytime security and make access easier for family and homecare visitors. A monitored security service is on hand, 24-7, to respond to an emergency signal or panic button alert from the home. As more and more family caregivers incorporate Wellness technology into their lives, commercial care providers are also discovering the benefits. The solution is scalable and can be installed throughout a residential community, enabling staff to develop personalized care plans, based on data-driven insights, that better serve individual residents’ needs. Residential installations can also include smart devices for greater safety and efficiency, with access card readers and other commercial-grade hardware available to increase operational efficiency. 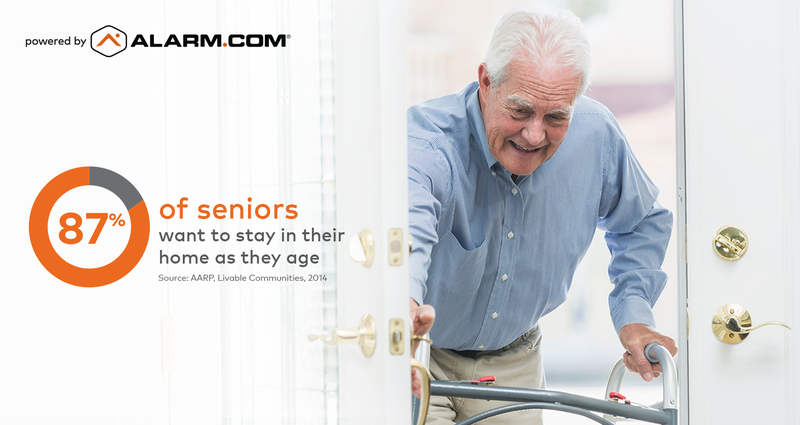 To find out more about our smart solutions for senior care, visit the Alarm.com Wellness page here.